This painting, like several others I have done lately, focuses on the Crockett Lake area near my home on Whidbey Island, Washington. I have always had an adoration for waterbirds. 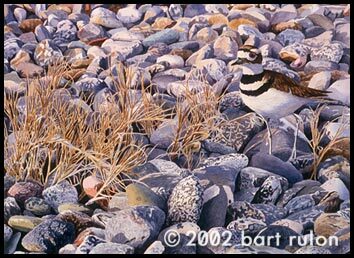 I can remember hearing the call of the killdeer when I went on long fishing trips with my dad and brother, so I guess there is a certain sentimental connection between this bird and myself. The remarques for this print are done in black and white on separate paper for $40. Contact Bart directly for more information.